There’s a family legacy thread that weaves through a large number of MyStarCollectorCar stories. In most cases, it’s attached to the memory of a car and its connection to the family. 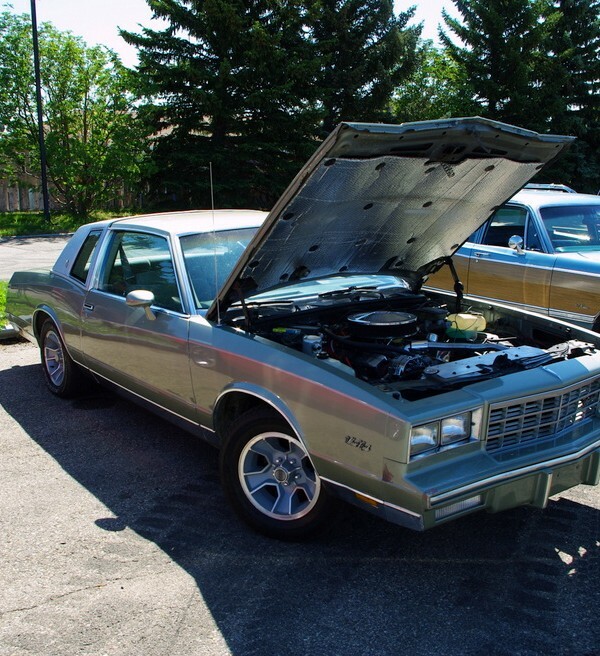 This 1985 Monte Carlo is a combination of memories and actual pieces of a family legacy car. 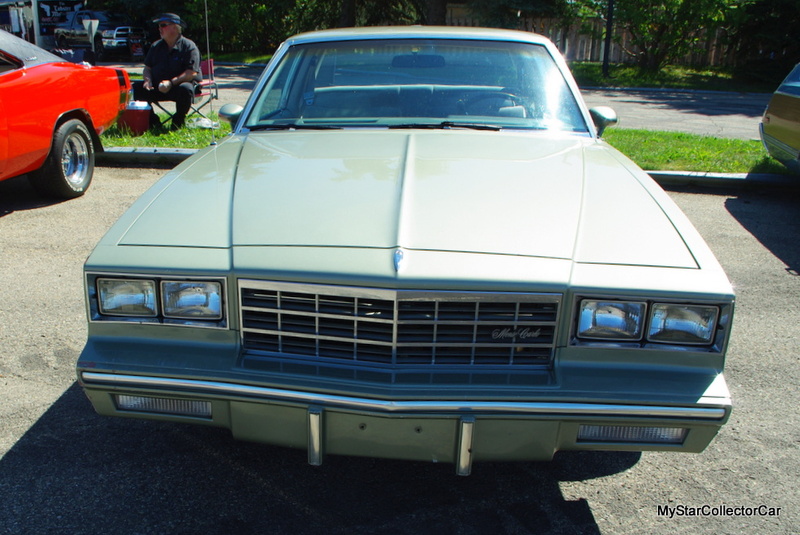 Chuck Powers was the proud second owner of his dad’s 1984 Monte Carlo decades ago when he bought the car a year after his father sold it to him with only about 10,000 miles on the clock. It became his wedding car and his new family car before “a kid smashed into it” and the car was written off. 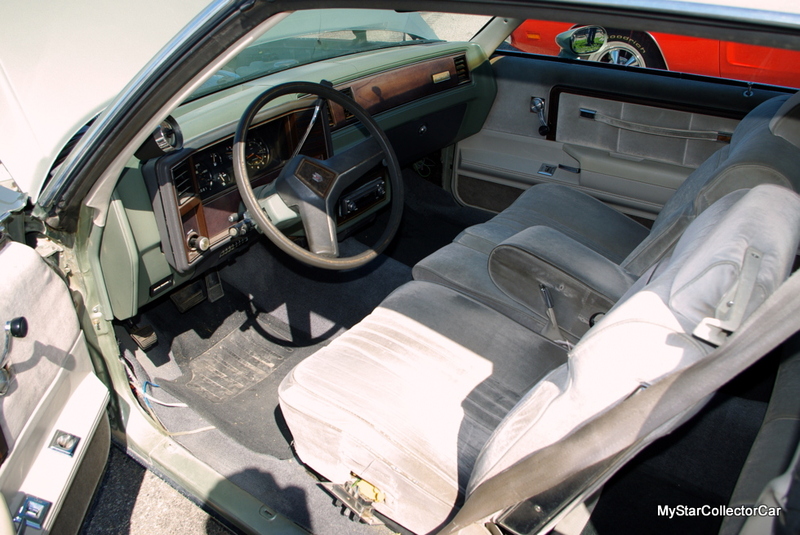 Chuck found this 1985 Monte Carlo and transferred pieces of his dad’s car into this replacement car so now the entire interior came from the legacy donor car. There are other items like the F-41 suspension (braces underneath) and the wiring harness for the electric seats and Chuck admits, “There are a few other things to add but anything I could take from the old car I would put them in this one”. 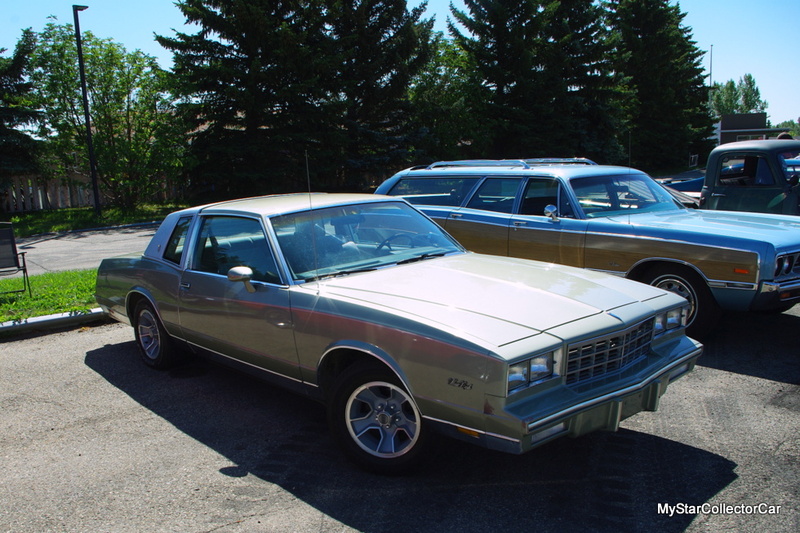 The ’85 Monte Carlo had a tired 305 so Chuck took some advice from an engine building buddy who told him he “could spend a lot of money on the 305 or he could spend it on more power”. 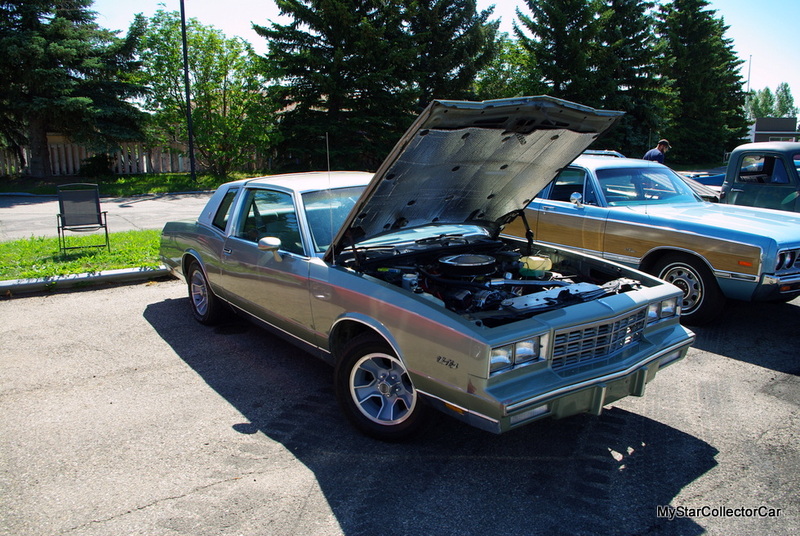 His buddy had a bored-out 406 small block and suddenly the tame Monte Carlo had the roar of a lion. 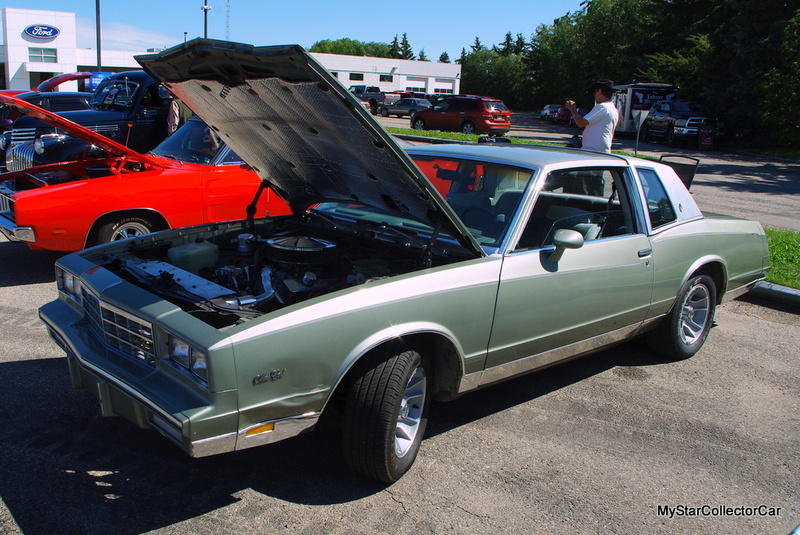 Chuck estimated the car has “around 425 horsepower and 500 foot pounds of torque” so the Monte became the definitive sleeper. Chuck’s goal was simple—build the ultimate “grandmother’s car” and ambush people. 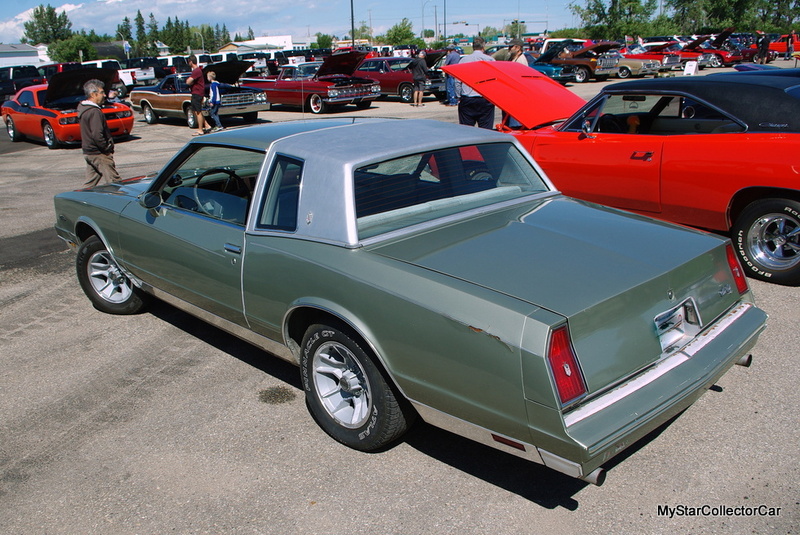 He definitely accomplished it because there are very few outward signs this tame-looking, stock appearing, ’85 Monte Carlo is anything more than a survivor librarian’s car from the 1980s. Chuck has surprised a number of people with this car and he’s actually had them track him down to find out “what’s really under the hood”. A look under the hood tells a different story because there are numerous modifications to the stock compartment including a radiator shroud and headers plus the 406 is clearly non-factory. Chuck lived by the “If you built this car in the mid-80s how would you build it?” game plan so there are no 21st century tweaks to the car. It’s basically a mid-80s car with a mid-80s pieces so Chuck is dedicated to his concept in a big way. The car is a welcome end game goal but Chuck’s biggest takeaway from the project is the learning curve. His car buddies have taught him things he would never learn from a book. 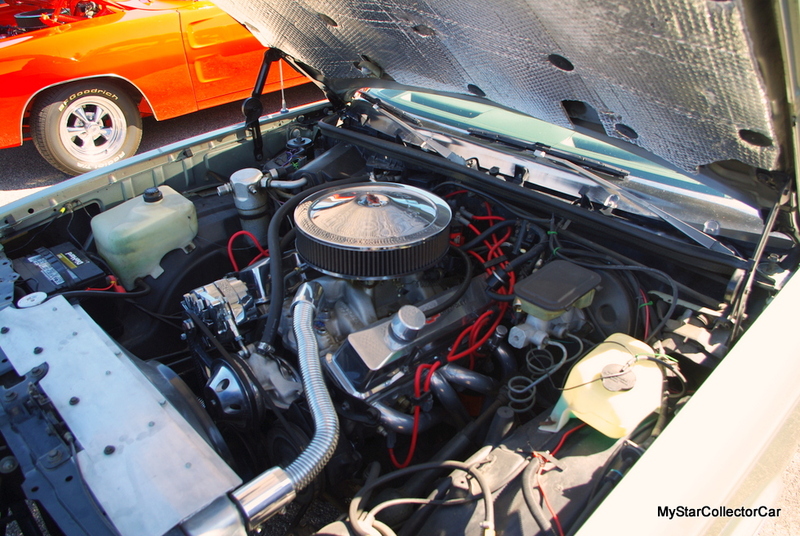 He’s scoured wrecking yards (back when there were a lot more of these cars there) with his mentor and learned things like a Trans Am radiator will not only work in a Monte Carlo—it will do a better job. Chuck has put a lot of labor into the project. He was heavily involved in the engineering behind the radiator shroud thanks to a very talented fabricator buddy who explained why it had to be built in a specific way. The best part is the shroud was built from a salvaged door plate in a hospital. 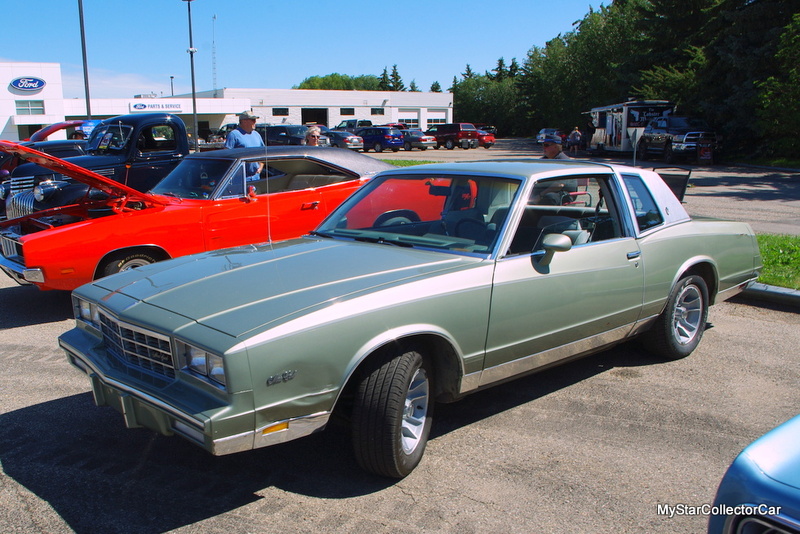 There are numerous modifications (visible and not visible) in this Monte Carlo but the best parts came from his long lost ’84 Monte Carlo because this sleeper Chevy carries a lot of his dad’s legacy in 2019. 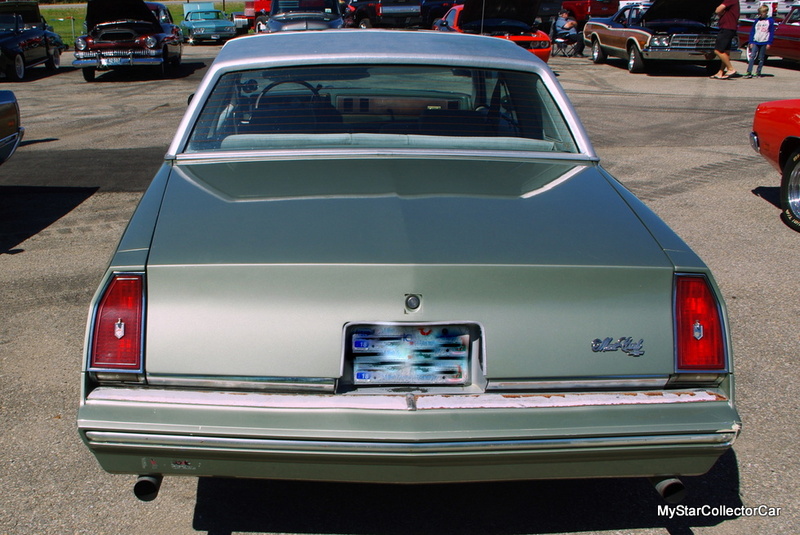 Jerry Sutherland is a veteran automotive writer with a primary focus on the collector car hobby. His work has been published in many outlets and publications, including the National Post, Calgary Herald, Edmonton Journal, Ottawa Citizen, Montreal Gazette, Saskatoon StarPhoenix, Regina Leader-Post, Vancouver Sun and The Truth About Cars. He is also a regular contributor to Auto Roundup Publications. Please re-post this if you like this article.